You are the welcome lodger in my imagination Mr. Vance. What would my youth have been without the places I went with you? Ciao Jack con te se ne va una parte di me,se stato uno scrittore unico,grandissimo,per me il migliore di sempre e per sempre continuerò a leggere le tue opere che ogni volta mi danno qualcosa di nuovo....grazie. Un altro maestro che se ne va. Ha avuto lunga vita e un ingegno ribollente e mai spento, fino all' ultimo. Nessuna tristezza ora, ma brindiamo al suo ricordo e continuiamo a leggere quanto ha scritto. Forever alive in the minds of his many, many readers! A very great loss, not just to the Science Fiction community, but to all of literature. It was my pleasure to have worked for several years on the Vance Integral Edition with Jack, Norma and all the fans who joined together in the project. I will miss him greatly. I have a shelf of soft-cover pulp by Jack Vance. In my sci-fi days of yore, I went through a lot of authors and settled on Jack Vance. He just connected with me. I read everything I could get my hands on, and that was not easy at the time. I'll toast to a well-spent life, one that made a difference in mine. My favorite author, bar none. My greatest wish is that he had written even more wonderful stories. A great loss. "Lyonesse" was the first Jack Vance book for me - but happily Waldenbooks also had a copy of The Dying Earth and Eyes of the Overworld and Cugel's Saga! Of course I tracked down everything I could from him after that! Now I'm off to re-read...everything! The Oikumene is a sadder place now Jack. Thank you for such gorgeous words... Rest in peace, great writer. Jack Vance's writing is something I have shared with my father and now with my son, with my husband, and with friends. This web of appreciation continues to expand as far-flung members introduce his work to their friends and family. He was a unique wit. He will be missed. But I am grateful for all the books he left for us mere mortals to engage in. Thank you,Jack Vance,for sharing your imagination with us. Your stature as the greatest influence on generations of writers and readers can only increase. My condolences to your wonderful supportive family. Thank you, Mr. Jack Vance. Your stories, your imagination, and the magic you brought to the written word will be missed. Thanks for inspiring my appreciation of the English Language as a youth. Thanks for inspiring like-minded folk from around the world to collaborate in a most fulfilling literary project. Thanks for being the most gracious of hosts at your fine Oakland home. I read back Tschaï two month ago, for the fifth times, with same pleasure than I was 15. Jack Vance had a skill to describe amazing worlds and complex civilizations, he was able to give life to incredible characters (good or bad). In my opinion, "To live forever" was his best book, and today i'm disapointed because Jack was worthy of being an amaranth. Thanks a lot Mr Vance, Rest In peace. Thanks for many wonderfull journeys on your fantasy vessel. A toast ! A barrel of the finest french wine in memory of M. Vance, amongst the finest writers ever ! the humble thanks of the man who grew with all his fantastic stories. Quelle triste nouvelle. Mon auteur favori est parti rejoindre les étoiles. Adieu et merci pour tout le bonheur qu'il nous a apporté. The day I discovered Jack Vance changed my life forever. The bookcase in my bedroom is filled with his books and it gives me comfort knowing the stories are there to read again and again, and will be passed to my children. It makes me really sad to realise there will be no more new stories to read. Jack, thanks for making my life richer! A large part of who I am is because of you. You will be sicerely missed! tu es immortel !! ton chef d'oeuvre est magnifique !! Jack was an inspiration for me my entire life. He had a radically diverse approach towards his career that inspired me from my boyhood in Baltimore to adulthood as a doctor and a musician, to live life to the fullest, to be devoted no more what, to life, love, and my family, and I'll miss him terribly. I raise a glass-- Long live the King! I was just re-reading my VIE copy of MASKE: THAERY this week, and Jack had been on my mind every day. Jack has been my favorite SF author, since I discovered him at age 14 in 1966. I am sure that I will continue to re-read his books until it's time for me to die. No other author has given me such pleasure and so many beautiful images in my mind's eye. My wife is on the iPad and says: Your science fiction writer has died. So many unforgetable stories, characters, dialogues and worlds. So many, many hours of enjoying the gifts from Jack's briliant creative mind. Let's gather in Fontenay's Inn, for drinks and music and celebrate Jack's life and works. Thank you Jack! Here's to you! I grew up reading Tschai, The Devil Princes and The Cadwal Chronicles, can still hardly imagine Jack Vance is no more. Thank you so much for your works of art, you will be missed! The last of the giants of fantasy and science fiction now goes to join Lovecraft, Howard, Leiber and the rest of that elite few in eternity. Your stories will live forever. Thank you so much for the wonderful worlds you dreamed for us. I just would like to say thanks you. You have been a part of my life for so long. If today I like ScyFy it's because of you, if today I write ScyFy books it's because of you. It has been an honor to read you. I have a thought, tonight, for your family. I' will read Emphyrio tonight. Jack Vance has my favorite SF author for over 40 years, and I have practically all his writings. and perspective as Jack Vance did in his writing, especially in the short story "Noise." I'm sorry he's gone from us but glad he got to live and write for so long. "The Last Castle," "Son of the Tree," and "The Houses of Iszm." Jack, you've been in my life for so long, you gave me thousands of hours of wonder, happiness and delight. Farewell my dear friend. So many great books, characters, dialogue, and plots. Mazirian the Magician, from The Dying Earth (as it was titled when I read it) set a standard only other Vance novels could meet. Here's to Jack, now in the real Overworld (no lenses needed) enjoying the splendor there. Thank you Jack, for all your stories! His spoken and unspoken words are a part of the way i am enjoying my life! Night: The day is retreating, night falls, stars appear. I am not happy because you are not here. Gentle moonlight caresses softly my sleeping face. I am leaving, to the stars, into my dreams. Vanishing without a trace. R.C.P. Croese. Thank you Jack. For the many hours I have had the privilege of spending in your wonderful worlds. Raising a glass to you, Jack. My first SF book was Tschai by Jack Vance. Since then, his work has taken me on a roller coaster ride. Jack was so much more than a regular SF or fantasy writer. The way he described alien cultures has never been equalled. My son this year also started reading Jack Vance's The Devil Princes. His heritage remains. RIP, Jack! I had the absolute pleasure of interviewing Jack at length a few years ago. I was honored that during the conversation we declared a fast friendship and was the recipient of an invitation to dinner should I ever be in the area. He was one of the first SF authors I read and no doubt gave me early fuel to the fire of my creativity. He lived up to what I wanted him to be and so much more. Jack, you are, and always will be, missed. My father had a few of the Demon Princes so that's how I started reading Jack's books. I think I have all of them now, and I enjoy reading them again and again. In 1998 my wife and I got our first daughter, and we named her Madouc. I sent Jack a card, and he responded kindly via Norma. Dear Mr. Vance, many thanks for your wonderful stories. Godspeed. Now is the time to sleep the dream and follow the current to realms unknown. The world will never again know your like. And I will re-read your works for the rest of my days. One of the few authors I can read again and again even knowing the stories by heart. Imagination and style, a rare cocktail. Thank you Jack Vance,for,in my case, about 48 years of enjoyment! Rest in peace,and my condolences to your family and friends. Au revoir Monsieur Vance. See you in the œcumene. I discovered Jack with The Chasch thirty years ago and was immediately enthralled. I had the pleaure to read Jack's novels in French and then the renewed pleasure to re-dicover most of them in English. Thank you Jack for the countless hours of reading pleasure! Goodbye, Jack. The Gaean Reach will have lost its greatest bard. The love for life of Jack Vance made my love for writing overcome my fear for it and I started tot put my imagination on paper. Thank you so much, my teacher. I occasionally sit and contemplate the tiny border between the past and the future, and in so doing consider many of your words. Thank you for writing all that you have. I enjoyed every word, most of them more than once. I'm now off to have a charnay, and perhaps pitch an enemy into the sea. Whenever you want to be transported to a place different from the one you occupy, you only have to pick up a Vance story...here's hoping Jack's been transported to the place he always dreamed about. Thank you for all the books you have left us. Through all the characters and the worlds you have created, you will be forever with us. I left childhood on the wings of your imagination. I have spent so many nights, not able to go to sleep because I just wanted to read another page. I read nearly all your books. I think I will go into my library and start them all over again. I could not believe it when 3 years ago I read that the dying earth was an inspiration to the game dungeons and dragons and discovered the works of Mr. Vance. How could I being a hueg scifi fan have not heard of him? Why are his books not used in schools? They are better literature than many that were forced upon me. I feel Mr. Vance to be one of the greatest authors of all time. I have read some 20 of his books and can't wait to read more. Why more have not been made into movies I will never know. I found enormous pleasure in reading anything by him and he will be sorely missed. Best wishes to family and to Mr. Vance wherever he may be in the next world. Thank you Jack, you enriched my childhood beyond measure. Your works were marvels to read, inspirations that sparked my imagination like no other. Your works, more than any others, taught my imagination to reach for far stars. 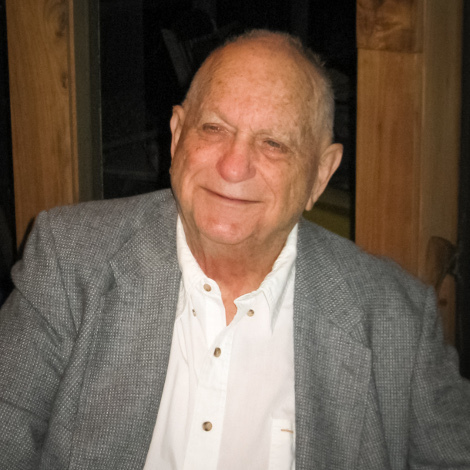 I never had the pleasure and the privilege to meet Jack Vance, but I know people who did. The Killing Machine was one of the first books I read when I cut my teeth on science fiction, and I have re-read it over and over again over the years. Later I discovered the brilliant Dying Earth books, which remain among my favourites. Thank you for everything, Mr. Vance. It was 35 years ago when I read Tschai. I read it again and again. And again. Every book he has written I read several times. He was an amazing storyteller, and as a storyteller he accompanied me through my life. I'm an entrepreneur and some of my companies carry his memory. Tschai investments,Anome bv, Anome projects bv, Cugel bv, Emphyrio bv, Lyonesse bv, Trullion bv, Etzwane bv, Suldrun bv, Durdane bv, Navarth bvio., Morreion bv.... Thanks Jack! Thank you so much for all the inspiration, mine and that of others. The world would have definitely been a little less interesting without you. Thank you for making it a bit more colorful.